Dr. Resnick came to Carnegie Mellon in 1966 and remained here for most of his working life. His research, publications, and scholarly network ties have been in four areas: the history of Europe; the interdisciplinary history of literacy; public education, K-12; and higher education and the American University. The courses he has taught have been in two areas: the history of European and colonial institutions, values and cultures; and American public policy in historical and comparative perspective. In the latter area, there were about a dozen courses, dealing with education, social science, IQ, economic development, social welfare, budgets, institutions, and culture. In 2012, The American Educational Research Association gave Daniel and Lauren Resnick an award for Outstanding Contributions to Research on Reading and Literacy. A Distingushed Scholars Symposium was held in their honor. Textbooks--My major effort in this category is a textbook that goes back to my first years in H&SS. I am somewhat embarrassed to note it here, because it appeared so long ago. Although I was one of three editor-authors, I wrote the guide for college teachers that was distributed with the text, and believe that the quality of the set was excellent. It appeared in two editions, 1970-73. They are listed below. 100,000 copies were sold. Ludwig Schaefer, Daniel P. Resnick, and George Netterville, eds., The Shaping of Western Civilization. New York: Holt, Rinehart and Winston, 1970. 2 vols. Ludwig Schaefer, Daniel P. Resnick, and George Netterville, eds., The Search for the Modern World. New York: Holt, Rinehart and Winston, The Dryden Press, 1973. Monograph—Daniel P. Resnick, The White Terror and the Political Reaction After Waterloo. Cambridge: Harvard University Press, 1966. Daniel P. Resnick and Jason Martinek, “Reading, 1450-2000,” in Peter N. Stearns, ed., Encyclopedia of European Social History, Charles Scribner's Sons (New York, 2001), vol. V, pp. 407-18. Daniel P. Resnick and Lauren B. Resnick, “The Nature of Literacy: An Historical Exploration,” in Masahiko Minami and Bruce P. Kennedy, eds., Language Issues in Literacy and Bilingual/Multicultural Education, pp. 135-150. Reprint series no. 22, Harvard Educational Review, 1991. Also reprinted in Eugene R. Kintgen, Barry M. Kroll and Mike Rose, eds., Perspectives on Literacy. Carbondale, Ill.: Southern Illinois University Press, l988; Thought & Language: Language and Reading, Series No. 14, 396-411, 1980 (first published in 1977). Daniel P. Resnick and James A. Gilchrist, “Literacy Development: A Laboratory for Social History,” History of Education Quarterly vol. 30, no. 4 (December 1991), pp. 667-72. Daniel P. Resnick and Lauren B. Resnick, “Varieties of Literacy,” in A.E. Barnes and P. N. Stearns, eds., Social History and Issues in Human Consciousness: Some Interdisciplinary Connections. New York: NYU Press 1989. Daniel P. Resnick, “L'alphabétisation en Amérique du Nord au XIXe siècle,” Annales: Economies, Sociétés, Civilisations, mars-avril, 1985, no. 2, 371-376. Daniel P. Resnick, Editor and preface, Literacy in Historical Perspective. Washington, D.C.: Library of Congress, 1983. Daniel P. Resnick and Lauren B. Resnick, “Performance assessment and the multiple functions of educational measurement,” In M. B. Kane & R. Mitchell, Eds., Implementing performance assessment: Promises, problems, and challenges. Mahwah, NJ: Erlbaum, 1996, pp. 23-38. Katherine J. Nolan, Daniel P. Resnick, and Lauren B. Resnick, “Benchmarking Education Standards.” In Educational Evaluation and Policy Analysis, Vol. 17, NO. 4, Winter 1995, pp. 405-18. Daniel P. Resnick and Madeline Goodman, “American Culture and the Gifted,” in Patricia O’Connell Ross, ed., National Excellence, A Case for Developing America’s Talent: An Anthology of Readings. Office of Educational Research and Improvement, U.S. Department of Education, June 1994. Daniel P. Resnick and Natalie Peterson, America 2000: Evaluating Progress Toward Goal Five. A Report to the National Center for Education Statistics. June, 1992. ERIC, ED340 764. 26pp. Daniel P. Resnick and Lauren B. Resnick, “Assessing the Thinking Curriculum,” in B. R. Gifford and M.C. O’Connor, eds., Changing assessments: Alternative views of aptitude, achievement and instruction. Boston: Kluwer, 1992, pp. 37-73. Daniel P. Resnick, “Sizing Up Standards in the United States: A Comment,” in Reading Today, Vol. 9, No. 3, December 1991/January 1992, p. 10. Daniel P. Resnick and Miles Myers, “High Standards in Writing,” The Quarterly of the National Writing Project, Winter, 1992, vol. 14, No. 1, pp. 18-19. Daniel P. Resnick, “Historical Perspectives on Literacy and Schooling,” in Stephen R. Graubard, ed., Literacy: An Overview By 14 Experts. New York: Hill and Wang, 1991 (first appeared in Daedalus, spring, 1990), pp. 15-32. Daniel P. Resnick and Lauren B. Resnick, “Understanding Achievement and Acting to Produce It: Some Recommendations for the NAEP,” in Phi Delta Kappan, Vol. 69, No. 8 (April 1988), pp. 576-79. Daniel P. Resnick, “Expansion, Quality and Testing in American Education,” in Marcia J. Belcher and Dorothy Bray, eds., Issues in Student Assessment. New Directions for Community Colleges Series, No. 59. Vol. XV, No. 3 ( Fall 1987). San Francisco: Jossey-Bass, pp. 5-14. Daniel P. Resnick and Lauren B. Resnick, “Standards, Curriculum and Performance: A Historical and Comparative Perspective,” Educational Researcher, April, 1985, 5-20.Daniel P. Resnick and Lauren B. Resnick, “Improving Standards in American Schools,” Phi Delta Kappan, 65(3), November 1983, 178-80. Daniel P. Resnick, “History of Educational Testing,” in Committee on Ability Testing, National Academy of Sciences, Ability Testing: Uses, Consequences, and Controversies. Washington, D.C.: National Research Council, l982, II, 173-194. Daniel P. Resnick and Lauren B. Resnick, “Testing in America: The Current Challenge,” International Review of Applied Psychology, 3l(1), Jan. l982, 75-90. Daniel P. Resnick, “Testing in America: A Supportive Environment,” Phi Delta Kappan, 62(9), May, 1981, 625-28. Daniel P. Resnick ,“Educational Policy and the Applied Historian,” Journal of Social History, 14(4), June, 1981, 539-59. Daniel P. Resnick , “Educational Reform: Recent Developments in Secondary Schooling in France,” French Contemporary Civilization, Vol. VI, Nos. 1-2, Fall/Winter, 1981-82, 133-51. Daniel P. Resnick , “Minimum Competency Testing Historically Considered,” Review of Research in Education, vol. VIII, 1980, 3-29. Daniel P. Resnick and Dana Scott, Editors, The Innovative University. Pittsburgh: Carnegie Mellon University Press. 2004. Daniel P. Resnick and Stephen Fienberg, “Science, Public Policy, and The Bell Curve.” In Bernie Devlin, Stephen E. Fienberg, Daniel P. Resnick, and Kathryn Roeder, Editors, Intelligence, Genes & Success: Scientists Respond to the Bell Curve. New York: Springer-Verlag, 1997, 327-339. A selection of the Library of Science Book Club. Bernie Devlin, Stephen E. Fienberg, Daniel P. Resnick, Kathryn Roeder, IQ, Race and Public Policy: An Analysis of The Bell Curve. A report prepared for the Carnegie Commission Task Force on Early Primary Education. 1995. Daniel P. Resnick and Marc Goulden, “Assessment, Curriculum and Expansion in American Higher Education: A Historical Perspective,” in Diane F. Halpern, ed., Student Outcomes Assessment: A Tool for Improving Teaching and Learning. New Directions for Higher Education Series. San Francisco: Jossey-Bass, 1987, pp. 77-88. 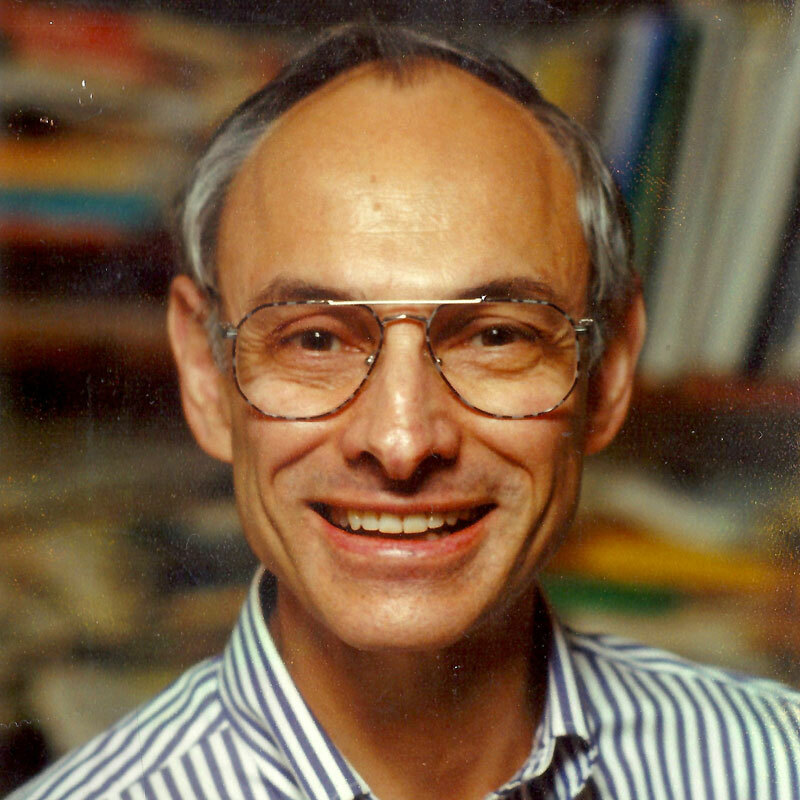 Daniel P. Resnick, “The Expansion of Higher Education and Testing” IDE (Tokyo), 1986, No. 5.